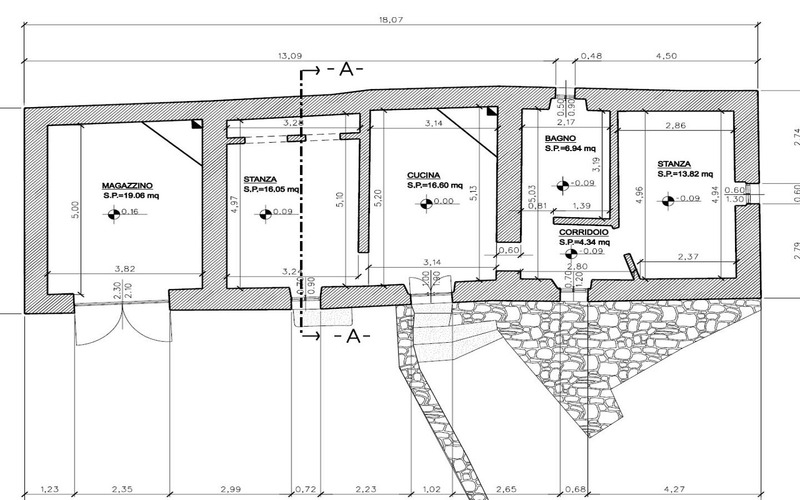 This real estate investment opportunity refers to the sale of an enchanting agricultural land and traditional Sardinian farmhouse Stazzo, that are located in the rural district of Abilina, 8 km from the Medieval Luogosanto, near the provincial road N14 towards the Costa Smeralda’s town of Arzachena, about 12 km drive away. The plot extends for ​​4 hectares, including an historical olive grove that extends for about 3 hectares and that can be put back into production; the site has excellent exposure affording nice sea views as far as Corse. The “stazzo” for sale, a rea gem in its genre, requires a full restoration throughout it 90 square meter living area currently divided into four large rooms. According to current planning laws, available up to June 2019, the house can be increased by 30% compared to the existing volume. Electricity poles are found near the plot, water supply can be sourced by drilling a well or from the local rural aqueduct. Price is subject to purchasing taxes and agency fee, see buying process.